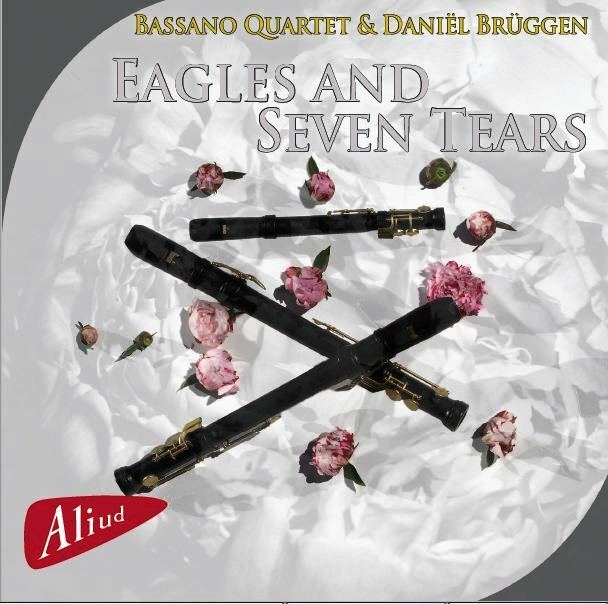 After the successful first CD ‘Torres del Alma’ with quartets from the Spanish Renaissance, the idea arose to create a second CD with new music and arrangements for the Eagle recorder and a unique performance of the ‘Lachrimae, or Seaven Teares’ by John Dowland with recorderplayer Daniël Brüggen. 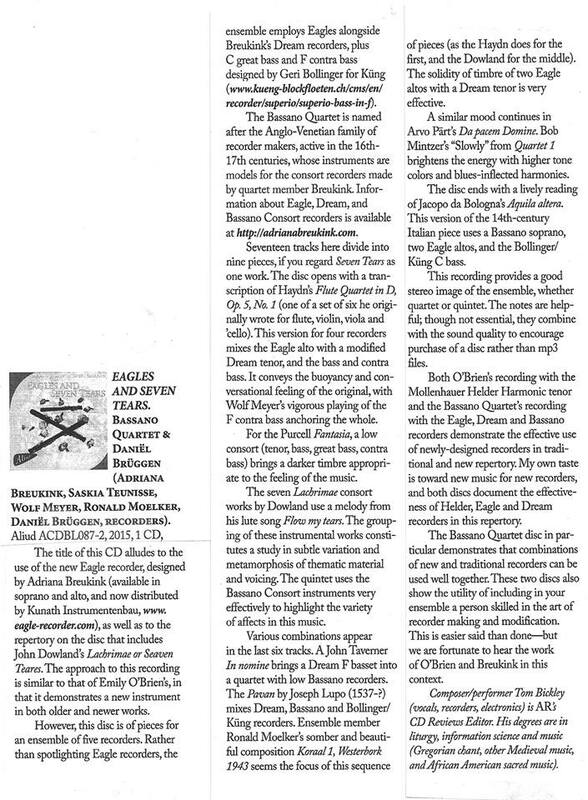 With this recording we aim to explore the extremes of the recorder sound and forge new paths. 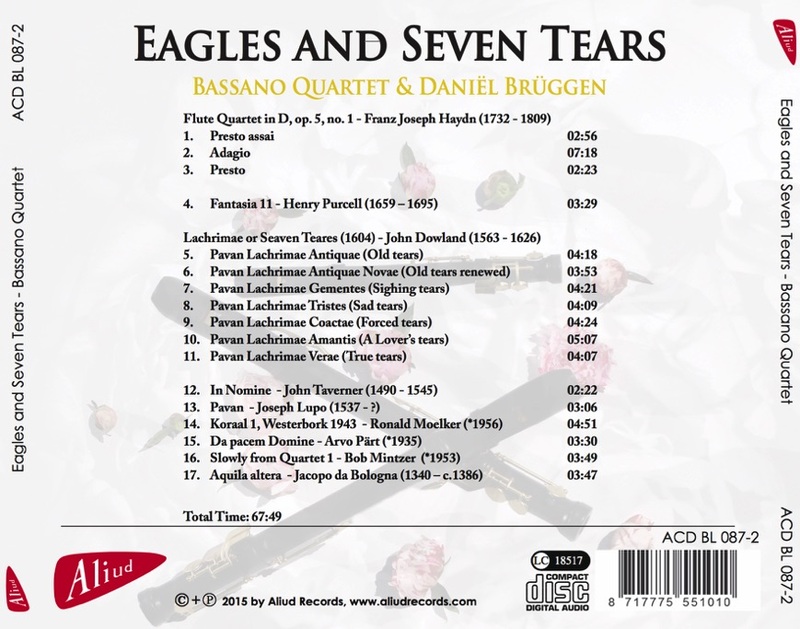 New music and quartet arrangements for Eagle and Dream recorders and a unique performance on Bassano consort recorders of John Dowland's ‘Lachrimae, or Seaven Teares’, with guest player Daniël Brüggen. 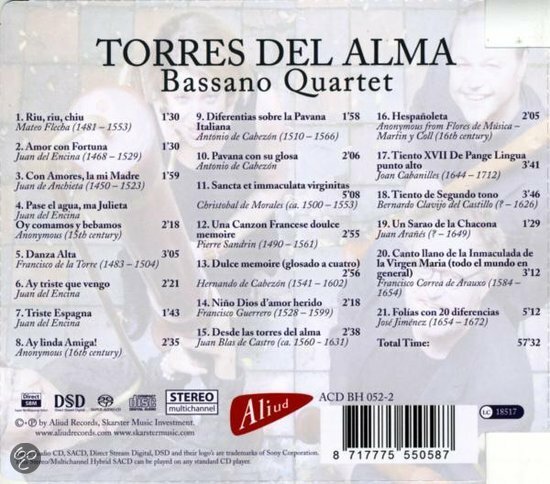 Highlights of Spanish music from the 15th century manuscript Cancionero Musical de Palacio, around the mystic saint Teresa de Ávila from the 16th century and the 17th century Catalan composer Joan Cabanilles. Voor bestellingen vanuit Nederland is het mogelijk om direct het verschuldigde bedrag (€19,- per cd + € 3,- verzendkosten) over te maken op rekeningnummer NL85ABNA0570481929 t.n.v. R. Moelker. Verstuurt u a.u.b. een bericht met uw naam, adres, en aantal gewenste cd's.